The start of a new school year is upon us. After getting a break all summer long, it is time to start making school lunches again. I admit that at the end of the last school year, I fell into a lunch box rut. I was sending the same thing to school with my kids each day because they would eat it and it was easy. But the start of a new school year brings inspiration and new ideas. 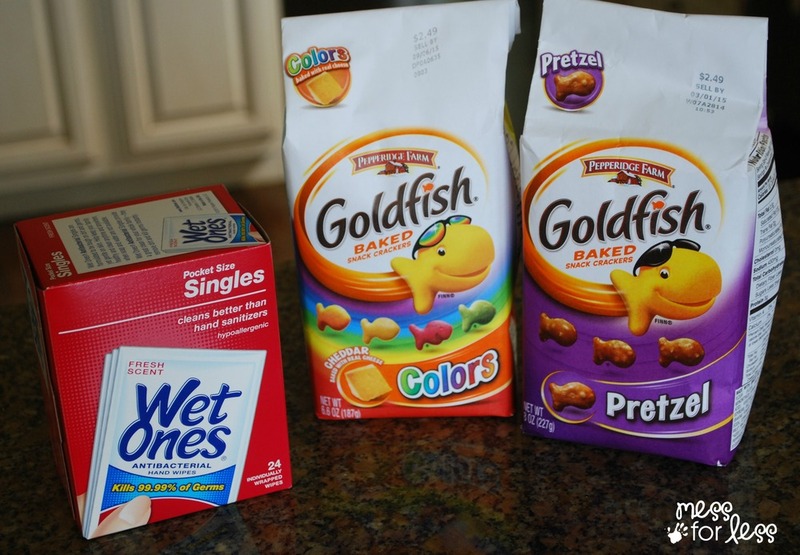 I have created a fun 1st Day of School Lunch sponsored by Wet Ones® that is super easy to prepare and contains yummy Pepperidge Farm® Goldfish. 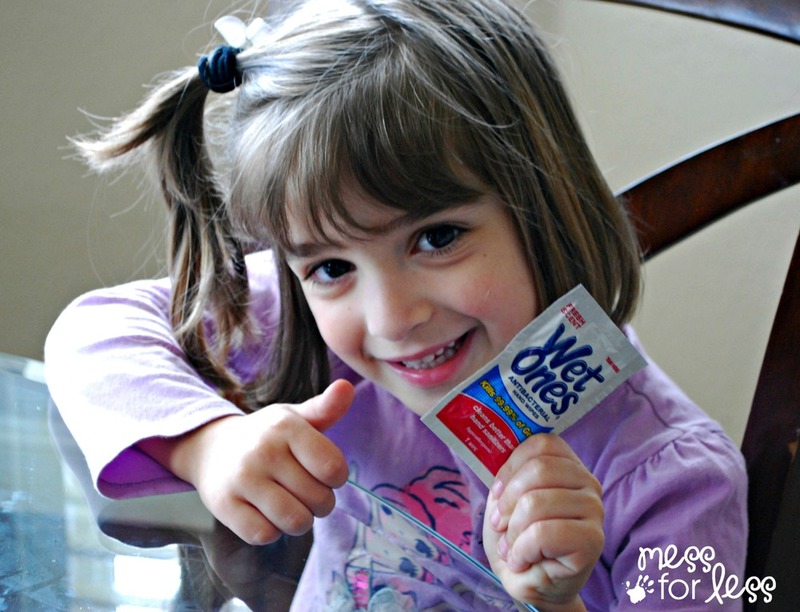 Don’t forget to pack some Wet Ones® Singles so kids get their hands clean before eating! cookie cutters for a 1st day of school theme. 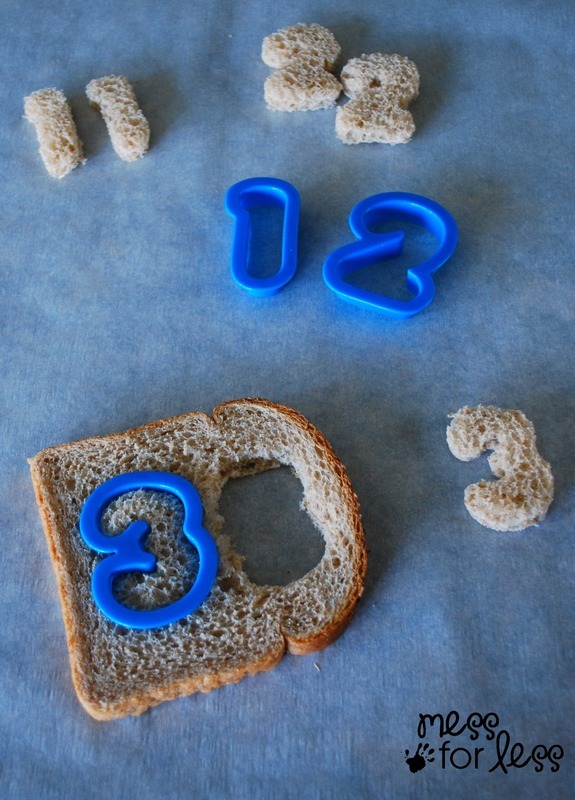 I was able to cut two numbers out of one slice of bread. You will need to press really hard for the cutter to get through the bread. I used sunflower butter for our sandwiches because our school is nut free and sunflower butter is an alternative that my kids like. 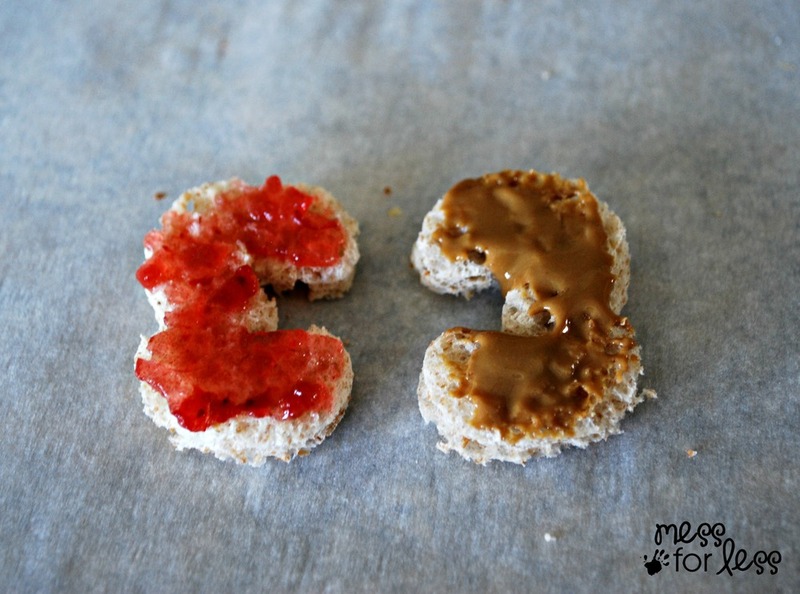 Spread sunflower butter on one number and jam on the back of another number so they will fit together when you attach them. 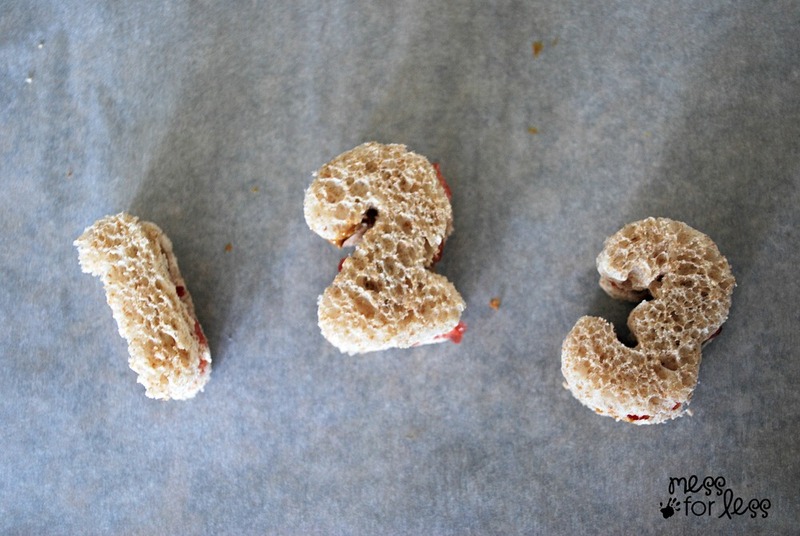 These adorable (and yummy) sandwiches are sure to be a hit at the lunch table. 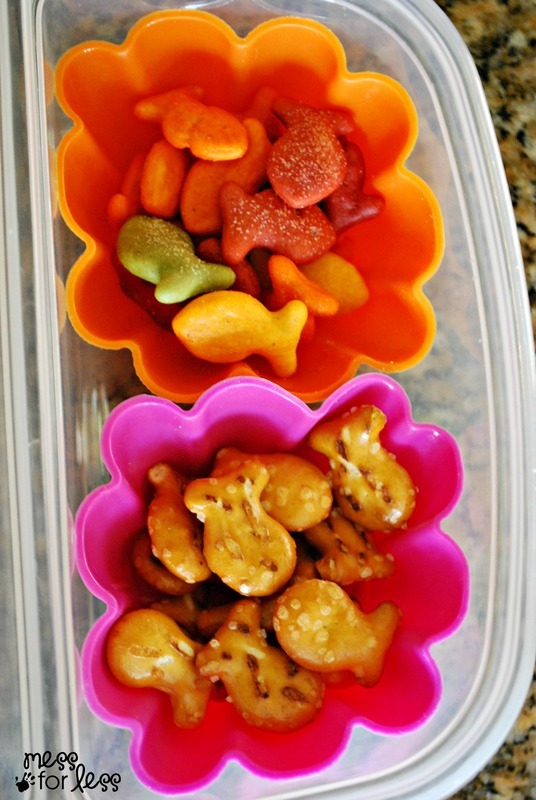 Add some tasty Goldfish to the meal. There are so many varieties to choose from such as Cheddar, Pretzel, Parmesan, Pizza and more. 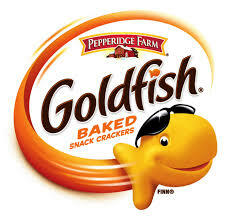 There are also Goldfish Puff, Grahams and Flavor Blasted Varieties. My kids love string cheese, so I cut one up to include with lunch. I also added some cut fruit. Feel free to add your child’s favorite fruit. 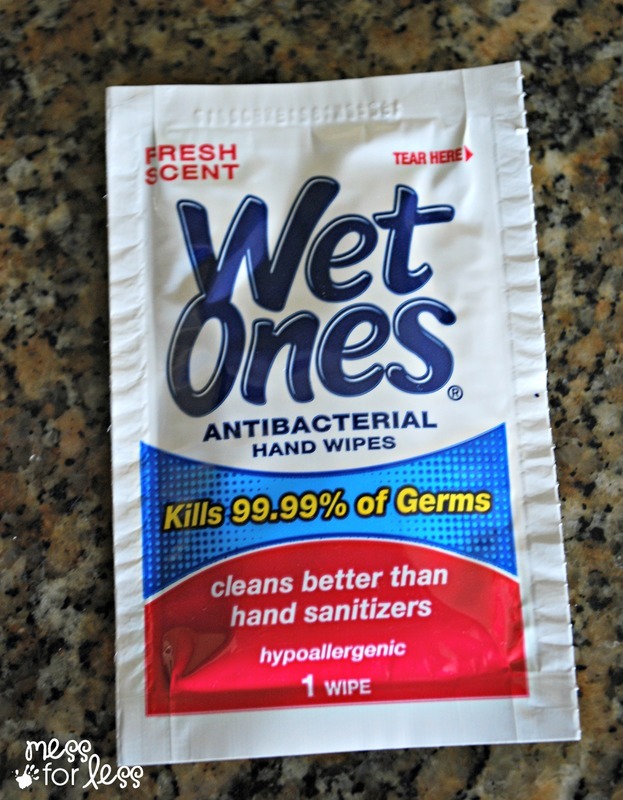 Since Wet Ones® Singles clean hands and kill 99.9% of germs, I feel like they are a lunch box necessity. 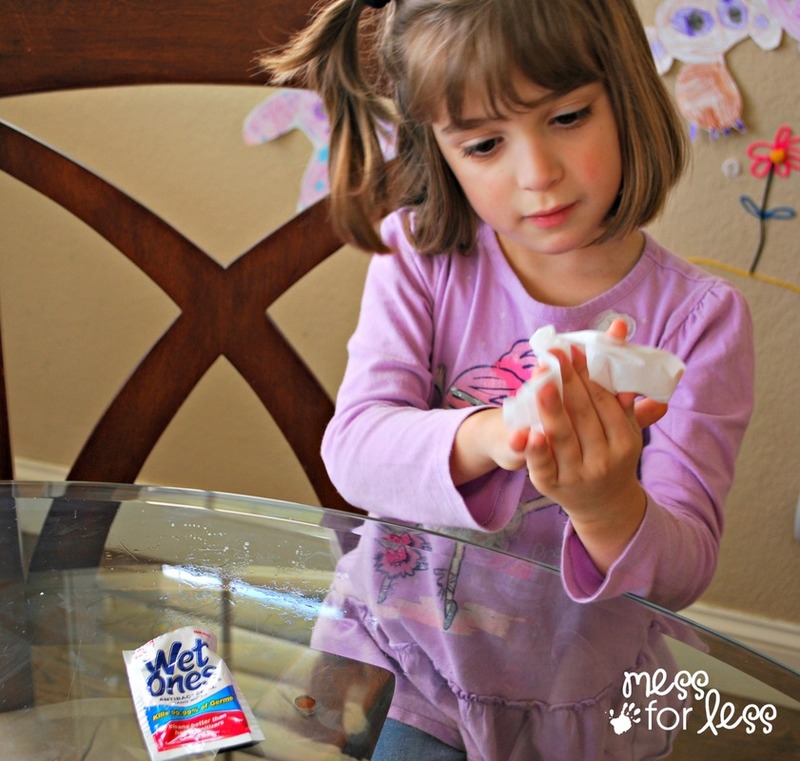 My 5 year old is sure to remember to clean her hands prior to lunch with these convenient Wet Ones® Singles. They take up hardly any room so they are perfect to add to any lunchbox. Once her hands are super clean, she is free to enjoy her awesome lunch! 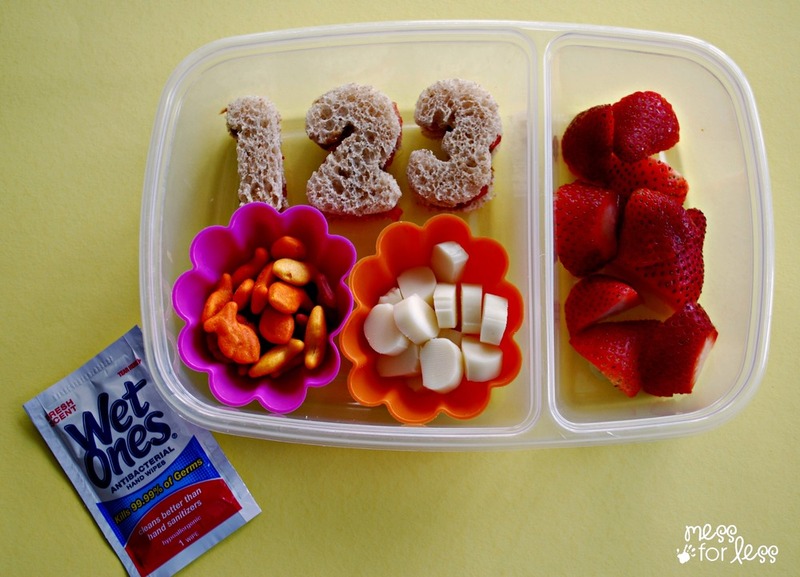 It doesn’t take long to create a fun 1st Day of School Lunch. 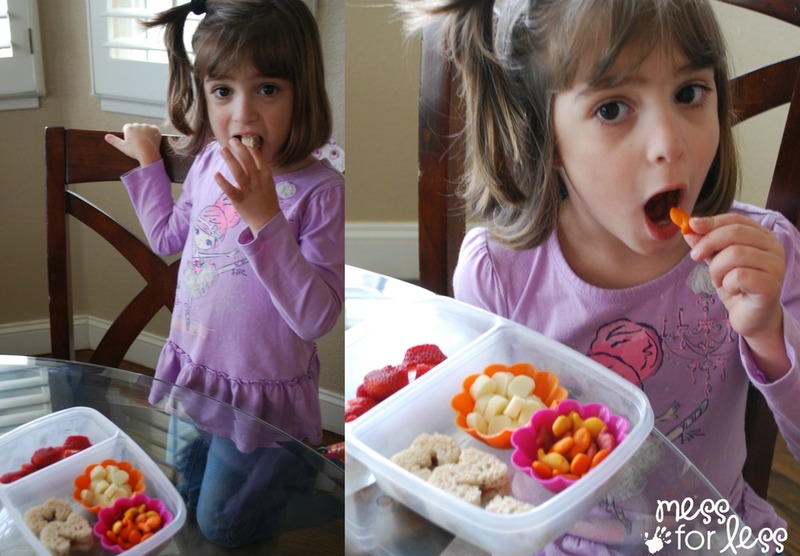 It took just a few minutes to pack this lunch and it is sure to become a favorite thanks to those cheesy Goldfish snacks. 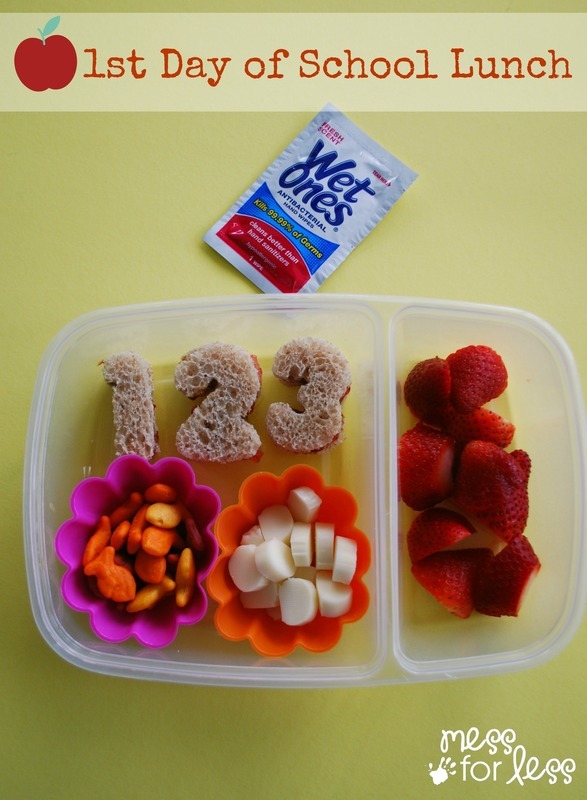 Be sure to check out the Wish I Had Wet Ones in My Lunchbox website for new and creative back to school lunch ideas.